Mold usually grows in damp areas producing allergens and irritants that cause allergic reactions. Touching orb inhaling the mold can cause allergic reactions that include hay fever-type symptoms that include a runny nose, sneezing, skin rash, and red eyes. Furthermore, mold can cause asthma attacks in addition to the irritation of the skin, eyes, throat, nose, and lungs. Therefore, if mold is a problem in your home, you must clean it up immediately or hire a professional to remove it. Once the mold is removed, you must also eliminate the sources of moisture that create conducive conditions for mold growth. The first thing you should before you can start mold removal is identifying the mold as well as determining the conditions that encourage growth. 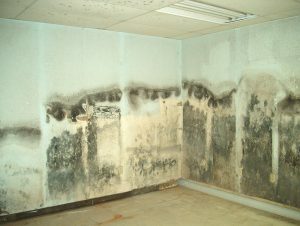 The mold growth usually starts as a tiny black spot that develops into larger colonies with the most likely areas of growth being in the bathroom and other damp and shady areas like the laundry room, in the window seals, chimneys, refrigerator drip pans, basements, attics, and under carpeting. If you spot the mold early, you can use various mold removal techniques and methods to remove it but if it is spread, you should hire a professional mold removal service to remove the mold. You should hire a professional mold removal service if the mold covers more than 10 square feet, if it is in the HVAC system, if it is causing health complications and if the mold is caused by contaminated water or sewage. If you want to remove the mold yourself, you can kill it using bleach, vinegar, baking soda, hydrogen peroxide, and borax. The bleach contains hypochlorite that alters the mold proteins form and thus, destroys the mold. Bleach is effective and advantageous for tile grout, and caulk as in addition to killing mold it also helps to remove stains. However, bleach produces toxic fumes and it is not conducive to drywall and wood. Vinegar uses its acidic ph to deform the shape of the mold proteins breaking down the structure of the mold and thus killing it. Vinegar is a nontoxic cleaner that can also prevent the mold from returning but it is not as strong as bleach or other commercial products. Baking soda also works in the same way as vinegar but its high ph level makes the product of choice for homeowners looking for an environmentally safe and inexpensive product. For homeowners looking to kill viruses and bacteria, the hydrogen peroxide is the best option as it is also an antibacterial and antiviral. If you remove the mold and fail to address the underlying factors causing the infestation, you will most likely have to repeat the removal procedure in a few weeks and thus, every mold removal should be accompanied by preventive measures.